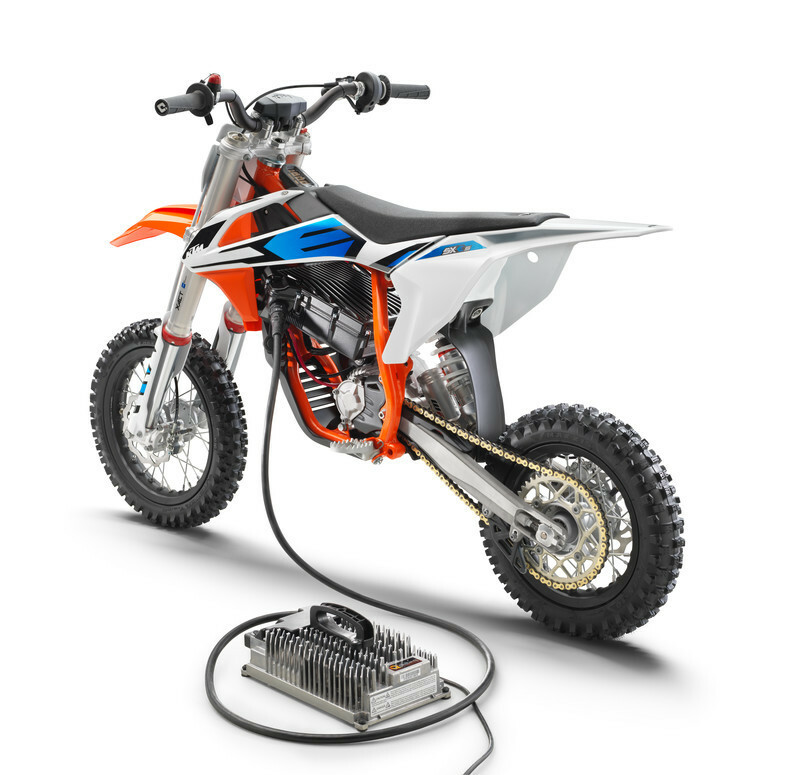 Ah, how appropriate that KTM and Husky became the first mass-market dirt bike brands to announce electric powered bikes for kids... at the same time the U.S. was holding an election. Electric motorcycles are dovetailing into a political love/hate deal even though the makers of them never really tout these machines as being better for the environment, or lessening a dependence on fossil fuels. on fossil fuels. Saving the world is not the point of electric motorcycles. Saving the sport is. So while I've already seen some divisive talk on this topic, we need to can all of that noise, fast, and get on board with these bikes, now. We need kids to get on dirt bikes. And they're more likely to jump on one of these than a gas-powered bike. That's all this is about, full stop, period, end of sentence. I actually have a bike like this, the Torrot e-12, which is a 50cc-sized bike with a battery and an electric motor. Torrot is the parent company of GasGas, the trials and enduro bike brand. 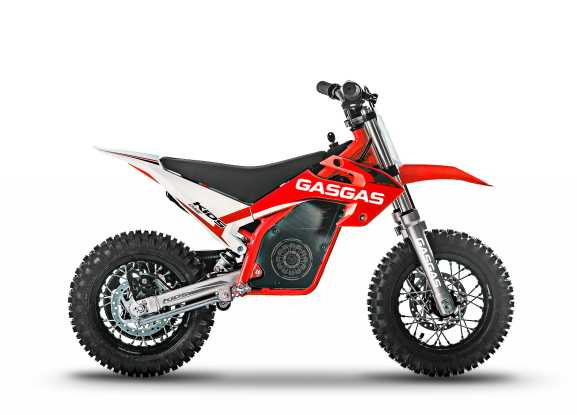 Yes you can also get one of these electric bikes in GasGas livery, which, indeed, means one of the pioneering brands in electric bikes is ironically called GasGas. This is called the GasGas Enduro Two, and yes it's electric despite those letters on the shroud. ElectricElectric? This is KTM's electric mini. I have one of these because my daughter has had zero interest in dirt bikes, but I knew an electric bike could be slow, quiet, and cool enough to maybe entice her. For her mom's paranoid self, the bike has a switch on the frame which allows it to produce just 50 percent power, and there's an phone app which allows you to adjust the bike or even cut the power on the fly via bluetooth. I got this bike back in March, and it's been tough sledding, as I expected, for my daughter to want to ride it. She usually gets scared with the vicious 0-5 mph snap of this bike (I'm being sarcastic). But we try things, like telling her to imagine she's riding a horse, which she likes better than a dirt bike. One time she rode it in some dirt, went toward a muddy patch and crashed. She jumped up, realized she was covered in mud, ran home and jumped straight into the shower. The wife was not pumped. Finally about two months ago we tried it again and... suddenly she started feeling it! She was just going around and around in circles in the grass but she started yelling screams of joy, they even putting her leg out in corners, and standing up! Amazing how these things just start happening naturally once you're trying to go a little faster on a dirt bike. 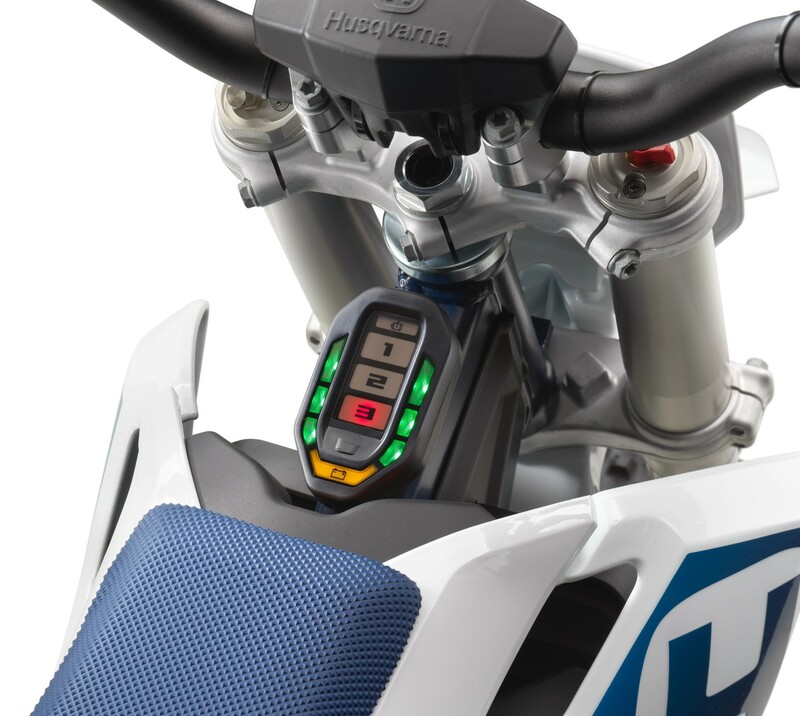 Check out the adjustable ride modes on the Husqvarna EE5. We had finally cracked the code, so I brought my wife back down to watch again, this time she was impressed. Then came the magic words: "Can I try it?" Now, officially there's a weight limit of like 88 pounds for this bike, but hey, I've ridden it a bunch myself already. I mean, of course I have! So my wife hopped on, and without worrying about a clutch or gears, without the bike being loud or hot, she twisted the throttle and took off. Within seconds she was in love. By the time she came back around the circle in the grass, she was panting like a dog she was so excited. My wife and I have been together 12 years, but this was the first time she ever understood this whole dirt bike thing. It doesn't make any sense on paper. The danger, expense, time and effort just don't equate. But once you experience riding, you quickly realize none of the other more practical hobbies come close. Now, for Christmas, I'm scouring Craigslist for a used TT-R or KLX 110 for the wife, because she'll be willing to try a gas bike (that actually can hold more that 88 pounds) now that she's hooked. A few weeks later by buddy Hooper came over and he and his wife tried riding it in my yard. We all took turns doing laps and realized, actually, we had been riding a dirt bike while my neighbors were sitting out back eating dinner. And it didn't bother them one bit. Hmm, what if we had a fleet of these and did some bar banging? As for my daughter, she rode some more on Sunday. At one point she stopped and said, "Daddy, my arms feel all tight or something." You never forget your first arm pump! I love riding dirt bikes. I also have a four-year-old son who also loves them. But to get my wife and daughter to maybe come with us someday and make riding a family activity? It wasn't going to happen without an electric bike. In my household, the mom and young daughter were less intimidated on this machine, and that made all the difference. Look at the segments of this industry that are blowing up. UTVs and side-by-sides. Adventure bikes. Dual sports. Two-strokes. Retro-styled bikes. Or actual retro bikes, as in vintage bikes. That's cool to see growth, but it's obvious that a lot of that growth is powered by older guys who want something that reminds them of the good old days (vintage, retro styled, or vintage), something a little less intense (dual sport) or something safer (the UTV). Where is the growth at the bottom of the market? With kids? We need them now more than ever. Maybe these bikes can help us get a few more.